Deep five rib design delivers excellent wet or dry traction, handling and stability in highway service. Optimum tread distribution provides exceptionally long, even-wearing tread life. 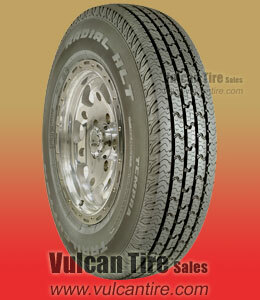 Superior durability in commercial and other heavy duty use.